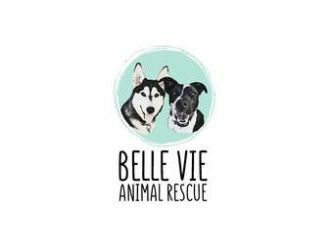 Belle Vie Animal Rescue (BVAR) is a not-for-profit registered charity based in South East Queensland. Our mission is to rescue and rehome animals within our region. 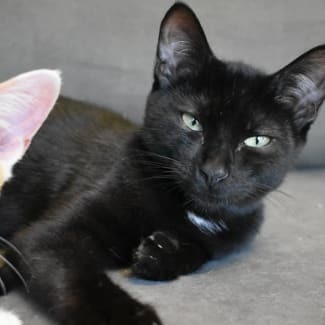 We save animals that have been kill listed at pounds, those that have been surrendered and the ones that have been neglected, mistreated and abused. Every animal that comes into care receives all appropriate vet work such as microchipping, vaccinations, desex as well as regular parasite control. We will also ensure that any specialist surgeries such as dental work are completed whilst the animal in care. To enquire about an animal available for adoption, please contact us via Facebook or send an email to bellevieanimalrescue@gmail.com. We will respond within 48 hours and send a questionnaire for you to complete. Applications are not approved on a first in, best dressed basis, rather we will assess on your suitability. Should we believe that the animal you have applied for may not suit your home or lifestyle, we will work with you until we find your perfect match. Upon approval of your application, we will organise a mutually convenient time and location to do the meet and greet. 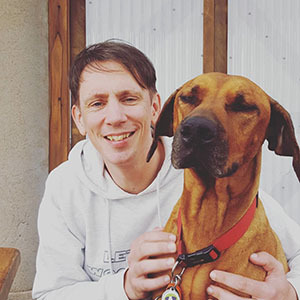 If the meet is successful, there will be an adoption contract to complete and sign and the full adoption amount is required unless previously organised with Belle Vie Animal Rescue. 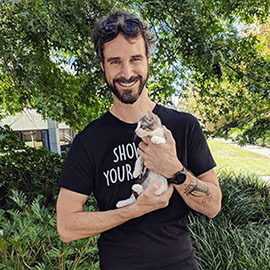 Your adoption pack will include a copy of the contract for you, all vet work and a microchip change of ownership form, which will be filled out and submitted by BVAR at the end of the adoption trial. Pugsley is my name and hugs are my game. I'm a smooth talker that will whisper and purr in your ear and have you head over heels in no time. I came into care after I was surrendered with my sister Wednesday and I quickly became a crowd favourite at BVAR. I am a really chilled out, affectionate young boy with a lot of love to give. I get a long great with other cats and spend my days purring away. Someone even told me I am wayyy better than my sister but shhhh don't tell Wednesday that! I am toilet trained perfectly and never make a mess. I just want to be beside my favourite human. Hey there! 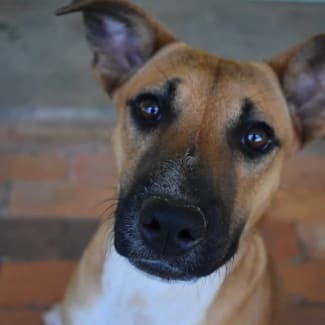 My name is Turbo and I am from the T Litter I came into care from a regional QLD pound. I was in the pound with my mum and siblings when we were just a few days old! BVAR got us straight from the pound to a local carer, where we had to stay until we were old enough to fly. My name says it all - I am speedy and cheeky! I love to zoom around and play with my siblings. I'm affectionate and toilet trained. 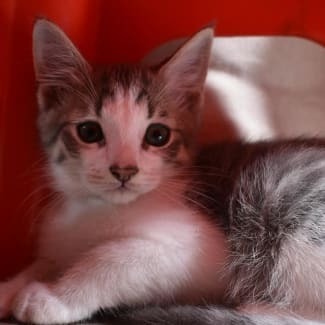 Adoption fee is $200 which includes vaccinations, microchip, up to date parasite control and desex. 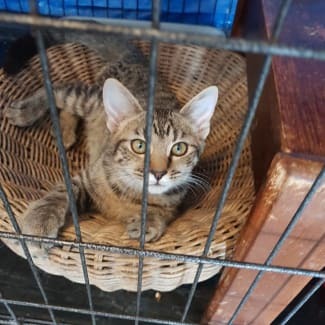 Hey everyone, my name is Evan and I am one of the gorgeous kittens in the 'E Litter' I arrived in care when I was just a few weeks old. Mum was no where to be seen unfortunately. My siblings and I were placed with another young litter and thankfully the mum, Lagertha was loving enough to take us on as her own. I am now happy and healthy and ready for my forever home! I've been raised in a loving home with children. 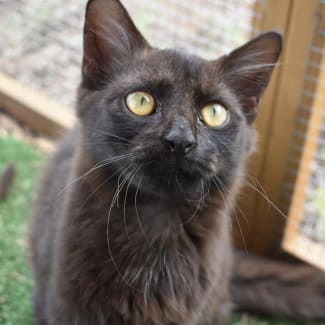 I can still be a bit timid so I would like if my forever home was calm and quiet so that I am able to keep building my confidence up! I am a sweet little boy that just loves to play! I am toilet trained. My adoption fee is $200 which includes up to date vaccinations, microchip and desex.